In recent weeks we have been hearing rumour coming from our ‘friends’ at Southampton City Council. The story followed that the City Council was actively looking to replace all HMO’s within the City with Hall of Residence Places thus squeezing out the HMO market. If Southampton was trying to say it was not biased things were not looking good. We didn’t give much credit to this until two decisions came our way. The first related to the retention of a Sui-Generis HMO. The applicant (and the Council’s Licensing Section) said it was a HMO. Planning said it was a house. The second related to a planning decision for a new HMO (now at appeal) where all of the reasons for refusal were licensing reasons (not planning). And then, very quietly and without consultation Southampton CC changed their HMO SPD, the document governing the method by which new HMO applications were tested. This made getting a new HMO harder! On the same day (and equally quietly) the Council introduced discretionary licensing for the the remainder of the City. Looking at the Planning History for the City the Council has granted 1000’s of new bedspaces for Hall of Residence since 2012. They are going up around the City all the time. It is now easier to get planning permission for a multi-storey Hall of Residence than it is to get planning permission for a much needed block of flats! Hall spaces are included within the Council’s housing needs assessment as a way to meet its 5 year land supply. Hall spaces are also exempted from the Council’s Community Infrastructure Charge. Thus to our eyes it would appear that Southampton’s solution to the HMO question is two-fold. Only approve if there is absolutely no other way and make HMO’s undesirable by providing enough accommodation for the 34,305 Students attending both universities. Our advice to HMO landlords looking at Southampton is DON’T! With the Council’s increasing prejudice against you the application will undoubtedly lead to a refusal. For England, the population is projected to increase by 9.0 million from 2014 to 2039. England, therefore, accounts for a large part of the overall population increase. This is 0.6 per cent higher than the projection in the previous 2012 Population Projection. The ONS has published its 2014-based Population Projections and the accompanying Sub-National Population Projections. These indicate a larger and increasingly ageing UK population compared to the 2012 projections. The fastest projected growth is in London, the South East and the East of England regions. Assumed net migration accounts for 51 per cent of the increase. The ONS population projections will provide the basis for the new DCLG 2014-based household projections which are expected next month (July). In the meantime inspectors examining local plans will expect local planning authorities to explain to what extent they have taken the new population projections into account when assessing their housing need. The UK population is projected to increase by 9.7 million over the next 25 years (2014-2039) from an estimated 64.6 million in mid-2014 to 74.3 million by mid-2039. The population is projected to continue ageing. The average (median) age will rise from 40.0 years in 2014 to 40.9 years in mid-2014 and 42.9 by mid-2039. By then more than one in 12 of the population is projected to be aged 80 or over. The areas experiencing the fastest population growth are London, the South East and the East of England regions. In terms of the 2012 Sub-National Populations Projections all but 11 local authorities are projected to grow in population over the next 25 years. Just over 55 per cent of local authorities are expected to grow to a greater extent than previously projected. 4. The Council accepts that it cannot demonstrate a 5-year supply of deliverable housing sites. Paragraph 49 of the National Planning Policy Framework (the Framework) states that in these circumstances, relevant policies for the supply of housing should not be considered up-to-date. development plan are out of date, the presumption in favour of sustainable development means that unless material considerations indicate otherwise planning permission should be granted: that is unless any adverse impacts of doing so would significantly and demonstrably outweigh the benefits when assessed against the policies in the Framework taken as a whole. Whilst this is not the first time the Inspectorate has raised housing numbers it is the first time we have seen it raised on a scheme so small. This development sought two additional dwellings! Hardly a massive jump up in numbers but sufficient to meet some need. As reported here only half of the LPA’s in England and Wales can actually meet their housing needs for the next 5 years and in the National Parks its even more desperate with South Downs NPA publishing their 2015 AMR showing that need will massively outstrip supply by 2031 . Whilst LPA’s still try and refuse applications based on their policies the NPPF makes clear that where there is no 5 year supply of housing land the policies fall away. In those situations appeal and let the Inspectorate take over. Well the confusion did not end in 2014. The adopted standards which, if i’m honest, are either adopted..or guidance…or ignored by council’s are still vague and poorly implemented. Useful terms such as ‘studio’ have been ignored and any property type that does not conform to the Governments idea of middle England suburbia has no standard at all. “In the 1960’s Britain had national building standards, known as the Parker Morris Standards, which laid down standards for all public housing, both in terms of sizes and the facilities. These invariably were picked up by private house builders. In the 1980s, bowing to pressure by the housing industry, Maggie Thatcher’s Government removed the standards as part of her claims to cut red-tape, arguing that the market would determine appropriate house sizes. To counter this various local authorities have introduced their own standards, resulting in a plethora of different minimum sizes of properties across the country. Rather than cut red tape as iniitaly intended we now have, and more complex, red tape than ever before. These provide a minimum size of a studio flat (with shower) at 37 sq m, to 138 sq m for a 3-storey, 6 bedroom house. The consultation closes in November 2014 but the results are unlikely to be available prior to the General Election, when a new Government may decide not to introduce them. Should you therefore pay any attention to them? Well in our opinion the answer is yes you should. Now the figures are in the public domain expect local planning authorities to start using them to judge your proposals. If you don’t get near the minimum sizes expect a refusal based on inadequate size of rooms. 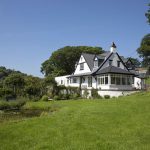 Even if local authorities don’t pick up on it, buyers and lenders may making it more difficult to finance or sell such properties. Well the confusion did not end in 2014. The adopted standards which, if i’m honest, are either adopted..or guidance…or ignored by council’s are still vague and poorly implemented. Useful terms such as ‘studio’ have been ignored and any property type that does not conform to the Governments idea of middle England suburbia has no standard at all. You can’t have a three storey two bedroom townhouse for example. I am dealing with two separate appeals in one authority for a studio flat that is greater than 40sqm but was refused because there is no wall between bedroom and living space and three 3-storey two bedroomed townhouses which exceed the 2 storey standard and the 3 storey standard and were refused inter-alia because the Council could not measure them. Even though its a retrospective application…and they can walk inside with a measuring tape! But it gets weirder. In Gosport (Hampshire) I am dealing with an appeal for a dwellinghouse that conforms completely to the bungalow standards and has been refused on cramped and inadequate living accommodation where the Council have no standard of their own! It would appear that like everything else the Council’s are waiting for PINS (The Inspectorate) to do their work for them. 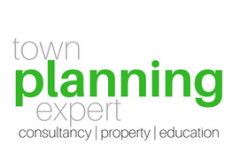 Planning Mission Impossible….The brief was simple – to get planning permission for an extension to restaurant which had already been before the local planning authority for 11 months and was heading nowhere fast. The brief was simple – to get planning permission for an extension to restaurant which had already been before the local planning authority for 11 months and was heading nowhere fast. Two planning agents had been involved up to that point and neither had managed to resolve the matter. In desperation the owner turned to a local draughtsman who recommended The Town Planning Experts. A site meeting was hastily called to establish what was required and what we needed to do. This was followed up by discussions with the relevant Council officers. It was soon clear that the original proposal to extend the car park was holding up the application, and this was not something the owner had any intention of undertaking anytime soon. It was therefore just a matter of advising the Council planning officer to withdraw the proposals for the car park and let the permission for the extension be issued. By sitting down with all parties and establishing what was actually required The Town Planning Experts were able, in less than two weeks, to solve a matter which two previous agents had failed to resolve in nearly a year.